The Medicare Access and CHIP Reauthorization Act of 2015 (MACRA) ended the Sustainable Growth Rate formula, which threatened clinicians participating in Medicare with potential payment cliffs for 13 years. If you participate in Medicare Part B, you are part of the dedicated team of clinicians who serve more than 55 million of the country’s most vulnerable Americans. 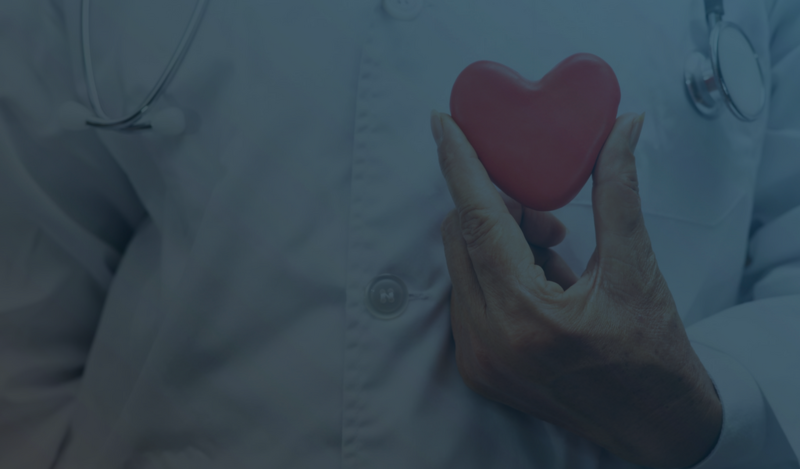 The Quality Payment Program’s purpose is to provide new tools and resources to help you give your patients the best possible care. You can choose how you want to participate based on your practice size, specialty, location, or patient population. CMS is re-naming the Advancing Care Information performance category to Promoting Interoperability (PI) to focus on patient engagement and the electronic exchange of health information using certified electronic health record technology (CEHRT). This performance category replaced the Medicare EHR Incentive Program for EPs, commonly known as Meaningful Use. This is done by proactively sharing information with other clinicians or the patient in a comprehensive manner. This may include: sharing test results, visit summaries, and therapeutic plans with the patient and other facilities to coordinate care. If you seek hardship exception to the advancing care information category, you will be able to apply for this between August 1, 2018 and December 31, 2018. The first payment adjustments based on Performance Year 2017 go into affect on January 1, 2019. You may submit and update your data any time while the submission window is open. Registered groups may submit group data in the CMS Web Interface during the 8 week submission window. Not sure where to start? Download our free beginner's guide to learn the basics of the Merit-based Incentive Payment System. With eClinicalWorks, practices can track provider participation in the Merit-based Incentive Payment System across MIPS measures. The eCW MIPS dashboard provides multiple views of data on the provider and practice level. 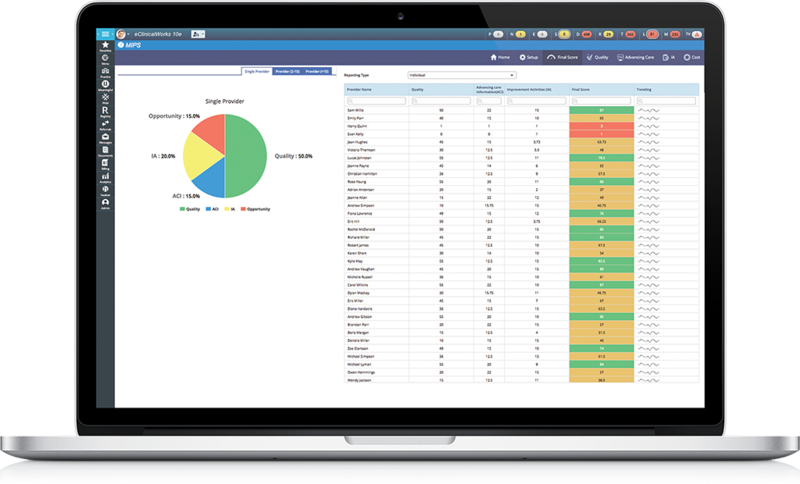 eClinicalWorks V11 is the next step in the evolution of healthcare IT, a cloud-based EHR and Revenue Cycle Management solution designed to meet the challenges and opportunities of value-based care. As a 2015 Edition certified product under the ONC Health IT Certification Program, eClinicalWorks V11 can assist your practice in participating in the Quality Payment Programs. Schedule your demo today to learn more. *Disclaimer: Dates and content on this page were up to date at the time of creation. 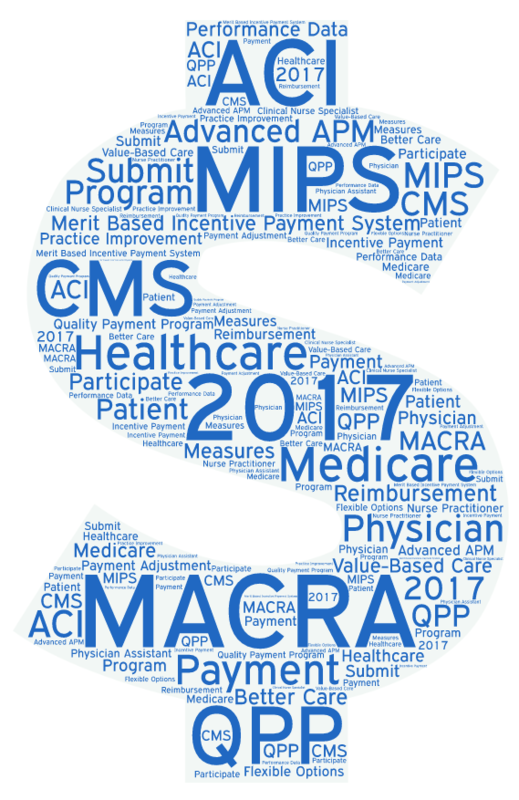 Please refer to the CMS Quality Payment Program website to ensure no changes have taken place to MIPS program.